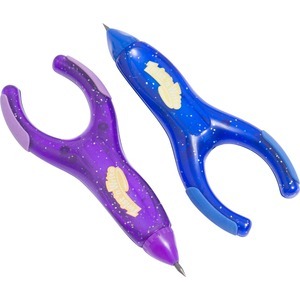 Wishbone-shaped, mechanical pencil is ergonomically designed to improve your writing ease and distribute the pressure on your fingers to reduce pain. Dual-action erasers provide an excellent way to correct mistakes. 2mm thick lead provides thick, legible lines while you write.